.REST OF TODAY…Mostly sunny. Highs in the upper 80s. Southeast winds 10 to 15 mph. Heat index 90 to 95. .TONIGHT…Increasing clouds. Lows in the lower 70s. Southeast winds around 10 mph. Heat index 90 to 95.
around 10 mph shifting to the west in the afternoon. .THURSDAY…Sunny. Highs in the mid 80s. West winds 5 to 15 mph. .THURSDAY NIGHT…Mostly clear. Lows in the lower 60s. .FRIDAY…Sunny. Highs in the upper 80s. .FRIDAY NIGHT…Mostly clear. Lows in the mid 60s. .SATURDAY…Sunny. Highs in the upper 80s. .SUNDAY NIGHT…Partly cloudy. Lows in the upper 50s. 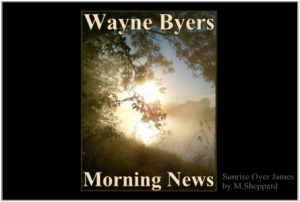 .MONDAY…Mostly sunny. Highs in the upper 70s. damaging winds the main threat. weekend, with highs returning to the 70s. WATFORD CITY, N.D. (AP) — Authorities say more than two dozen people were hurt, three critically, when a violent storm whipped through a northwestern North Dakota city, trapping some people in overturned recreational vehicles. The McKenzie County Sheriff’s Office says the storm moved through Watford City shortly after midnight Tuesday, hitting an RV park the hardest. Sheriff’s officials say about 20 of the 28 injured were staying at the Prairie View RV Park where high winds overturned some campers and damaged mobile homes. McKenzie County’s emergency manager, Karolin Jappe, says at least three people suffered critical injuries. Jappe says about 150 people are staying at the Watford City Civic Center where a temporary shelter has been set up. The Red Cross is assisting those displaced by the storm. 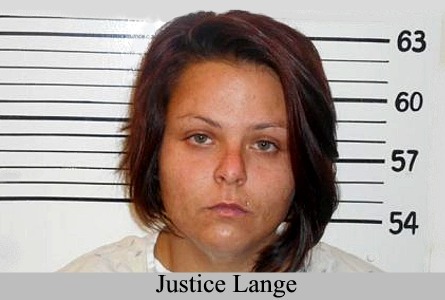 Jamestown (CSi) According to the Stutsman County Correctional Center inmate roster, 25 year old Justice Lange is being held there. 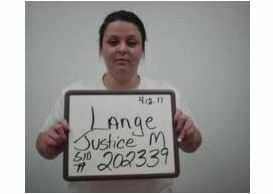 She was transferred Monday from a Fargo hospital. She is being held on back fines in the amount of $56, and a probation hold. Jamestown (CSi) Jamestown Public Schools, Business Manager, and H.R. Director Sally Ost says recently appointed Jamestown School Board Rural representative, Melissa Gleason will serve a full four year term. She says that stems from the fact that she will fill the seat that Sedric Trevithick, was running for, which is a four year term. Jamestown (CSi) After interviewing candidates, the Jamestown Public School Board Monday evening selected a rural school board member. The vote was unanimous 8-0. 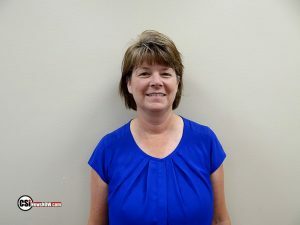 Melissa Gleason will succeed Sedric Trevithick, who while voting in the Jun 12, 2018 school board elections, was found not eligible to be a school board member, having moved out of the school district to the Barnes County North District, after being appointed to serve out a two year term, while living in the Jamestown Public School District. She was the only person to file and intent for the seat by the July 5, 2018 deadline. Gleason is employed by the University of Jamestown and lives in Homer Township with her husband, Robert. The school district opted to appoint the vacant rural seat, in lieu of holding special election, that would have needed to be held within 60 days of the June election. In the June 12th elections, no candidate filed to run for the other rural seat, held by Greg Allen who previously decided not to seek re-elected. Allen received the majority of write-in votes, and he has agreed to serve another term. He has served more than 20 years on the school board. Others receiving write-in votes were: Heidi Williams who received 6 write-in votes, and Mark Sherfy who received 5 votes. Melissa Gleason, Kelly Seckerson and Sara Wilson received 2 votes each. There were 27 individuals with 1 vote. (KFYR TV) The Stutsman County Sheriff’s Department says it is still awaiting autopsy results of the baby found dead near Woodworth on Saturday. Jamestown (R.M. 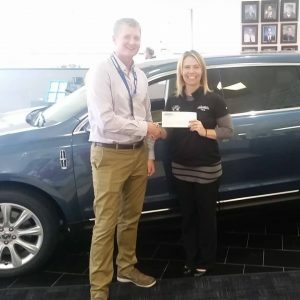 Stoudt) – Ford and RM Stoudt recently partnered with Jamestown High School for a Drive 4UR School test drive fundraiser which raised $1630. The Multi Media club will utilize the funding to provide video and sound equipment for the enhanced communication of school programs. Makerspace will also receive funding the provide equipment for laser cutting, 3D printing, robotics, fabrication, art and design uses. Pictured are Adam Gehlhar, JHS Principal and Tara Kapp, RM Stoudt BDC Coordinator. The fundraiser donated $20 per test drive in new Ford vehicles on the JHS campus. The event was briefly hampered by a thunderstorm bringing heavy rains but was still able to successfully gain over 70 primary and secondary test drives for the total donation. R.M. Stoudt, Inc. is a Ford, Lincoln, Chrysler, Dodge, Jeep and Ram dealership that is celebrating their 77th Anniversary in partnering with Jamestown and surrounding areas. STANLEY, N.D. (AP) — Authorities have identified a Mandan man who died on the Fourth of July when his pickup was struck by a train in Mountrail County.The sheriff’s office says 60-year-old Myron Aune died at a crossing on a county road about 5 miles west of Stanley.Authorities say an eastbound train had just cleared the crossing when Aune started to cross the tracks and was hit by a westbound train. He was alone in the pickup. GRAND FORKS, N.D. (AP) — Authorities say a Grand Forks man who was arrested after an hours-long standoff with police has died. Jail and law enforcement officials tell KNOX radio that 36-year-old Samuel Nelson died Monday evening, shortly after he was arrested at a Grand Forks apartment. Authorities say he was evaluated by paramedics on scene and transported to the Grand Forks County Correctional Center. The circumstances of his death are not clear. The North Dakota Bureau of Criminal Investigation says it will review the incident to ensure that all policies and procedures were followed. The standoff began early Monday afternoon after Nelson fled police when they tried to apprehend him on outstanding warrants. WDAZ-TV reports the Monday afternoon incident prompted authorities to evacuate area residents or have them stay inside in their homes. One couple and four children escaped their apartment by crawling out a window. Authorities arrested the man without incident when they found him hiding in an attic crawl space about five hours later. GRAND FORKS, N.D. (AP) — Grand Forks police say a man fatally shot by two officers was armed, but never fired his weapon before he was killed.Police Tuesday identified the man as 41-year-old John Francis Murphy III, of Grand Forks. Authorities say Murphy was shot early Sunday by Michael Ruit and Jordan Drees after the officers perceived his actions as threatening.Officials say a female family member who was present at the scene was also armed, but followed the officers’ commands to put her gun on the ground. Police say Murphy refused to follow the same command.The North Dakota Bureau of Criminal Investigation is reviewing the fatal shooting. The officers are on administrative leave while the shooting is investigated. Fargo (NDHP) – On Friday, July 13, from 8 pm. through 10 pm., the North Dakota Highway Patrol (NDHP) and the Dickey County Sheriff’s Department will be conducting a DUI checkpoint in Dickey county. Saturation patrols will be conducted in Dickey, Logan, and McIntosh counties on July 13 and 14.
driving as well as to deter motorists from choosing to drink and drive. The goal of alcohol enforcment saturation is to remove impaired drivers from roadways. High-visibility enforcement is one element of a collaborative effort to help meet the goal of zero motor vehicle fatalities and serious injuries on North Dakota roads. BISMARCK, N.D. (AP) — Supporters of legalizing recreational marijuana in North Dakota have submitted petition signatures they hope will get a measure on the November general election ballot. Proponents on Monday submitted nearly 19,000 signatures to the secretary of state’s office. About 13,500 valid signatures are needed to put the matter to a statewide vote. The secretary of state’s office will be making that determination in the next month. Supporters of legalizing recreational marijuana failed on a petition drive in 2016. That same year, North Dakota voters approved medical marijuana. The state Health Department is working on setting up a system for the drug. BISMARCK, N.D. (AP) — A college in Bismarck is partnering with a California-based company to address a growing gap in computer safety jobs. The Bismarck Tribune reports that Bismarck State College is teaming up with Palo Alto Networks to expand the school’s current cybersecurity program. The college has been known for its energy industry programs, but President Larry Skogen says he’d like to shift focus. The college will offer classes using curriculum from the cybersecurity firm. It will also add more networking equipment, create an online training center and open a cybersecurity academy for teachers on how to incorporate cybersecurity education into K-12 classrooms. The U.S. Bureau of Labor Statistics says cybersecurity jobs are in high demand and are expected to grow 28 percent from 2016 through 2026. UNDATED (AP)— Eduardo Escobar had three hits and drove in the game-winning run in the seventh to support Jose Berrios’ strong outing as the Minnesota Twins beat the Kansas City Royals 3-1 on Monday night. Escobar plated Joe Mauer with a seventh-inning single as Minnesota took advantage of Kansas City’s struggling bullpen to win its fifth straight game.— Gregory Polanco drove in four runs in the first two innings and the Pittsburgh Pirates went on to a 6-3 victory over the Washington Nationals. Polanco hit a two-run double in the first as the Pirates started the game with four straight hits. The right-fielder then added a two-run home run in the second, his 13th of the season to extend the lead to 6-1.— J.D. Martinez hit his major league-leading 28th home run, Steve Pearce hit a two-run shot and Eduardo Rodriguez pitched 5 2/3 innings to lead the Boston Red Sox to a 5-0 victory over the Texas Rangers. The Red Sox won their seventh in a row to end the day with their biggest lead over the Yankees in the AL East since April.Elsewhere around the majors:— Pablo Sandoval singled home the winning run with one out in the bottom of the 11th inning a day after driving in five runs, sending the San Francisco Giants to a 2-1 victory over the Chicago Cubs. Brandon Crawford loaded the bases when he was intentionally walked by Pedro Strop to bring up Sandoval, who hit a sharp single to left against a five-man infield. Andrew McCutchen and Brandon Belt started the rally with consecutive one-out singles off losing pitcher Steve Cishek (2-1).— Clayton Kershaw pitched six scoreless innings, and Cody Bellinger and Justin Turner each had three hits as the Los Angeles Dodgers beat the San Diego Padres 8-2. Kershaw improved his career mark to 18-6 against the Padres as the Dodgers moved a half-game behind the idle Arizona Diamondbacks for the National League West lead.— Anthony DeSclafani allowed one run in seven innings, Scott Schebler was 4 for 5 with a homer, and the Cincinnati Reds defeated the Cleveland Indians 7-5. All-Star first baseman Joey Votto homered for Cincinnati, which took the opener of the team’s annual battle for the Ohio Cup and sent the AL Central leaders to their third straight loss.— The Mets and Phillies met in New York for a doubleheader and each finished the night winner. Aaron Nola allowed one hit in seven shutout innings and lashed a three-run double that sent the Phillies to a 3-1 victory in the nightcap. Nola struck out 10 and won his sixth straight decision to become the only 12-game winner in the National League. The opener went to extra innings with Wilmer Flores connecting for a pinch-hit homer in the bottom of the 10th to give New York a 4-3 victory.—The Yankees and Orioles split a doubleheader in Baltimore. In the opener, Danny Valencia snapped an 0-for-25 skid with a three-run homer off CC Sabathia, and Baltimore ended a six-game losing streak with a 5-4 victory. Brett Gardner had four hits, homered and drove in three runs to help the New York Yankees beat the Baltimore Orioles 10-2 in game two.— Backup catcher Bryan Holaday hit a walk-off RBI single with one out in the 10th inning, and the Miami Marlins beat the Milwaukee Brewers 4-3. Holaday came into the game batting .165. He was in the lineup because the Marlins placed All-Star catcher J.T. Realmuto (ree-al-MYOO’-toh) on the paternity list before the game in anticipation of the birth of his first child.— Daniel Robertson hit an RBI single in the 10th inning and the Tampa Bay Rays won for the 12th time in their last 13 home games by beating the Detroit Tigers 10-9. Kevin Kiermaier had a one-out triple off Blaine Hardy (3-2) in the 10th. After Matt Duffy walked, Robertson won it on his hit to center.— Frankie Montas and two relievers combined for a five-hitter and Stephen Piscotty homered and hit an RBI single to give the Oakland Athletics a 2-0 win over the Houston Astros. Houston starter Gerrit Cole struck out 11 and scattered three singles across six scoreless innings before Brad Peacock took over for the seventh. Piscotty, who finished with three of Oakland’s six hits, greeted him with his home run to left field to make it 1-0.MLB-NEWSUNDATED (AP) — The Dodgers placed right fielder Yasiel Puig on the 10-day disabled list with a right oblique sprain prior to Monday’s game against the San Diego Padres. Puig, who is hitting .265 with 11 home runs, was removed from Sunday’s loss to the Los Angeles Angels during a fifth-inning at-bat. Dodgers manager Dave Roberts says Puig might not return until August.— Mets third baseman Todd Frazier has been placed on the 10-day disabled list with a strained muscle in his left rib cage. It’s the second DL stint for Frazier during his first season with the struggling Mets. The 32-year-old slugger had never been on the disabled list before 2018.— Giants catcher Buster Posey will miss the All-Star game because of a lingering right hip issue that needs an injection to calm the inflammation. Manager Bruce Bochy says the Giants had been discussing the possibility for about a month.WIMBLEDON…LONDON (AP) — Roger Federer has advanced to a record-extending 16th Wimbledon quarterfinal with a 6-0, 7-5, 6-4 victory over Adrian Mannarino of France. The eight-time champion earned his latest win with maximum efficiency on Centre Court, particularly during a 16-minute first set, where the top-seeded Federer lost just five points. Federer has now won 32 consecutive sets at Wimbledon to move within one straight-sets victory of breaking his previous longest streak at the All England Club. — Serena Williams is back in the Wimbledon quarterfinals for the 13th time after beating Russian qualifier Evgeniya Rodina 6-4, 6-2. In a matchup of the only two mothers remaining in the draw, Williams jumped into a 3-0 lead in both sets and wrapped up the win in 62 minutes. Williams is looking for her eighth Wimbledon title and has established herself as the big favorite once again, with the top-10 seeds all eliminated. She is seeded 25th after missing last year’s tournament while pregnant. — Rafael Nadal reached the Wimbledon quarterfinals for the first time since 2011. The top-ranked Spaniard beat Jiri Vesely on Centre Court to return to the last eight for the first time since he was runner-up to Novak Djokovic in 2011. — Kevin Anderson advanced to his first Wimbledon quarterfinal after edging Gael Monfils. The eighth-seeded Anderson hit 20 aces on his way to setting up a last-eight meeting with Federer. — Novak Djokovic beat Karen Khachanov and the fading light to reach the Wimbledon quarterfinals. As play was being suspended on other courts, Djokovic made sure he gets Tuesday off by breaking Khachanov for the seventh time to finish off a 6-4, 6-2, 6-2 win on No. 1 Court. — Kiki Bertens followed up her win over Venus Williams by beating No. 7 Karolina Pliskova to reach the quarterfinals for the first time. Bertens hit seven aces and saved eight of the 10 break points she faced to complete the latest upset in the women’s draw. — Jelena Ostapenko advanced to a second consecutive Wimbledon quarter-final with a victory over Aliaksandra Sasnovich. — Dominika Cibulkova overcame a delay caused by a controversial decision from the umpire to advance to the Wimbledon quarterfinals with a 6-4, 6-1 victory over Hsieh Su-Wei. CHARLOTTE, N.C. (AP) — The sale of the Carolina Panthers franchise to David Tepper has closed. Tepper becomes only the second owner in team history. He started work on Monday. Tepper, the founder and president of global hedge fund Appaloosa Management, L.P., bought the team from founder Jerry Richardson for $2.2 billion — the most ever paid for an NFL franchise. Richardson put the team up for sale in December after reports of sexual and racial misconduct in the workplace, which the league later confirmed. Tepper says he’s thrilled to begin a “new era” in Carolina. UNDATED (AP) — LeBron James has officially joined the Los Angeles Lakers. — Luka Doncic has signed his rookie contract with the Dallas Mavericks. It will pay the third overall pick $5.5 million next season. Dallas moved up two spots in the NBA draft last month to get the 19-year-old EuroLeague MVP. Atlanta took the versatile guard third, and sent him to Dallas for No. 5 pick Trae Young and a protected 2019 first-round draft pick. — Kyle Anderson’s move to Memphis is official. Anderson is now a member of the Grizzlies, and their likely starting small forward. San Antonio had until midnight Sunday to match the Grizzlies’ four-year, $37.2 million offer to Anderson, and declined. Anderson averaged 7.9 points for the Spurs last season, in his first year as a full-time starting forward. — The New Orleans Pelicans have signed free-agent guard Elfrid Payton and re-signed guard Ian Clark. New Orleans announced the roster moves Monday along with the formal signing of former Lakers forward Julius Randle, who agreed last week to a two-year contract worth about $18 million. Payton and Clark each have signed for one year. BUFFALO, N.Y. (AP) — The Buffalo Sabres have signed top draft pick Rasmus Dahlin to a three-year, entry-level contract. Buffalo selected the 18-year-old defenseman from Sweden with the first pick in last month’s draft. Dahlin is expected to make an immediate jump to the NHL after playing two seasons with Frolunda in the Swedish Hockey League. — The Anaheim Ducks will retire the numbers of Hall of Famers Paul Kariya and Scott Niedermayer next season. Kariya’s No. 9 will go into the Honda Center rafters on Oct. 21, and Niedermayer’s No. 27 will be raised Feb. 17. Teemu Selanne’s No. 8 is the only other number the Ducks have retired. MOSCOW (AP) — The World Cup semifinal stage is beginning with the all-European lineup being celebrated by soccer’s governing body on the continent. Belgium and France play in St. Petersburg today and then Croatia and England meet the following night in Moscow. WASHINGTON (AP) — Brett Kavanaugh is President Donald Trump’s pick for the Supreme Court. The 53-year-old is a solidly conservative, politically connected judge, and was once a law clerk for retiring Justice Anthony Kennedy. In a prime-time televised White House announcement Monday, Trump said Kavanaugh, “is a brilliant jurist, with a clear and effective writing style, universally regarded as one of the finest and sharpest legal minds of our time. MAE SAI, Thailand (AP) — All 12 boys and their soccer coach have been rescued from a flooded cave in northern Thailand, the Thai navy SEALs said Tuesday, ending an 18-day ordeal that riveted people around the world.The SEALs, who were central to the rescue effort, said on their Facebook page that the remaining four boys and their 25-year-old coach were all brought out safely Tuesday. Eight of the boys had been brought out of the cave by a team of Thai and international divers on Sunday and Monday.”We are not sure if this is a miracle, a science, or what. All the thirteen Wild Boars are now out of the cave,” the SEALs said, referring to the name of the boys’ soccer team. SAN DIEGO (AP) — A government lawyer says at least 54 immigrant children under the age of 5 will be reunited with their parents Tuesday, the deadline set by a federal judge to reunite some 100 children who were separated from their families at the U.S. border while trying to enter the country illegally. The deadline to reunite older children with their families is July 26.HIROSHIMA, Japan (AP) — Japan’s top government spokesman says at least 155 people have been confirmed dead from the recent heavy rains, floods and mudslides that had struck western Japan. Chief Cabinet Secretary Yoshihide Suga said more than 50 people were still unaccounted for as of Tuesday afternoon, most of them in the hardest-hit Hiroshima area.